We’ve all watched as Pendulum Monsters have come to sweep across the competitive metagame, as Pendulum archetypes have risen to define formats and dictate the most powerful tech cards. Instead, let’s discover what can happen when themes and archetypes use Pendulum engines to augment and enhance their strengths! Back in 2014, Yu-Gi-Oh was undergoing a severe power-creep phase. We faced the lovely aftermath of Dragon Rulers and Spellbooks, as the format gave way to FIRE vs WATER decks. Even though Space-Time Showdown was released in mid 2014, Pendulum monsters just weren’t the hero we needed to force innovation in the format. It just didn’t make sense to run these setup-intensive cards from the get-go, because it took time before they could begin summoning themselves back to the field constantly for endless advantage. Plus, there was no other engine released outside of Timegazer Magician, Stargazer Magician and Odd-Eyes Pendulum Dragon. (If you want to continue reading about the evolution of Pendulum card design, check out the past article: CLICK.) Fast forward to the current times, we’ve seen multiple Pendulum archetypes arise, dominate, then fade back into obscurity. Some, such as Qliphort, have managed to return in various forms over the years, and some, such as Draco-Performapal, have become synonymous with tier 0 decks. But very few Pendulum archetypes have ever been toolboxed into engines to find competitive success. I have handpicked a couple of great examples to showcase the potential of combining Pendulum themes and archetypes with a couple of decks that could use a power boost to showcase just how much a Pendulum engine can improve another deck, so let’s check them out! A year ago, I talked about introducing the power of Pendulum Monsters to Fortune Ladies, so before I begin this section, you may want to skim over it (CLICK) as the same reasoning applies today, but with a much more effective Pendulum suite. Introducing Fortune Lady supported by the Metalfoe. First, let’s recall why Fortune Lady is a great archetype to synergize with a Pendulum engine. Fortune Lady Water loves being Pendulum Summoned, especially if you just happen to have more Fortune Ladies in hand. Additionally, it is always best to have an alternative method other than tribute summoning to get Fortune Lady Dark to the field if you happen to draw into her. In the past, these benefits were recognized, but there was really no reliable way to trigger Fortune Lady Light, arguably the most important monster of the archetype, outside of Field Spells such as Sky Iris. Enter the Metalfoe monsters, a series of FIRE/Psychic Normal Pendulum monsters that can destroy a face-up card you control, and then set a Metalfoe Spell or Trap directly from your deck. This means that whenever you get Light in addition to any Metalfoe, you get a Fortune Lady plus a Metalfoe Spell or Trap card straight from your deck. If you have 2 Metalfoe monsters in hand, just use Light to summon another Light, then use the next Metalfoe effect on the new Light, then summon out your other Fortune Lady. It’s pretty much just free card advantage at that point, even before you Pendulum Summon any Fortune Lady Water. While Fortune Ladies have always been good at compounding advantage, this deck can become downright ridiculous even before you have a prepared Graveyard. Also, you do not have to rely upon Fortune Lady Dark to destroy a monster in battle in order to start getting extra cards. The other problem with Fortune Ladies is that they lack a outright ‘boss’ monster, but again, this problem is alleviated by the Fusion Monsters of the Metalfoe archetype, such as Metalfoe Orihulk or Metalfoe Cardinal, in the case that you need a powerful monster to seal the duel. To recap: the Metalfoe monsters provide triggers for Light, they provide Special Summon potential (through Pendulum summoning) for Water and Dark, and lastly, they provide the boss monsters. The pairing pretty much covers all of the bases for each archetype. Metalfoe Goldriver, Silvird, Wolflame, and Steeleren – The actual Pendulum engine you need to be using, with the benefits explained above. Fortune Lady Light, Dark, and Water – The main Fortune Lady monsters you want to be using. Others can be included as tech options, but they are not required. Metalfoe Fusion – The Fusion Spell that gives the deck access to its bosses, plus it gives free draws after use, or when discarded by Twin Twister. Painful Decision – The main search card, since it can search any of the lower-leveled Metalfoes. Metalfoe Combination and Counter – The support Trap cards that you will mainly be searching with your Metalfoe effects. Many of the following cards are simply additional options to use all of the extra draws well. Remember, you should be drawing extra cards from Water, so sometimes the best techs could just be a fully fledged Trap lineup. Give and Take – Grants extra levels to beef up your Fortune Ladies, plus gives your opponent a weak monster for you to run over to trigger Dark. Also, up to +2800 ATK allows Dark to attack over even Raidraptor – Ultimate Falcon. Different Dimension Gate – Good combo potential with Light, also non-destruction monster removal. Choco Magician Girl – Gives the deck more draw power and discourages the opponent from attacking. It lets you dig for your combos faster, then it slows down the opponent to keep you in the duel. Speedroid Engine – Gives the deck a bit more Xyz ranks, specifically Rank 3. This allows Phantom Knight of Break Sword to destroy Light and a card your opponent controls for a summon. Fortune Lady Fire – Extreme tech choice. Since it can only activate when summoned by a Fortune Lady, you have to rely on Light to summon it from the deck, or Dark to summon it from the Graveyard. High risk, but very powerful card. Fortune Lady Wind – This tech choice is a bit less risky, as it gives your deck a lot of backrow destruction. The best aspect to Wind is that her effect does not target, so use that to your advantage. Mist Valley Apex Avian – You are running scales 1 and 8, so you can Pendulum Summon it turn after turn to give your plays a bit of protection and to give your field a bit of disruption. Majespecter Racoon – Bunbuku & Majespecter Unicorn – Kirin – This small engine helps to give your deck more on-the-spot removal, in addition to giving yourself a bit of stall options if your opponent relies heavily on destruction by effect. Rescue Hamster – Amazing synergy with the Metalfoe, so a good card to consider. What does THIS Pendulum Engine Offer? When the Pendulum monsters mesh so well with the Main Deck monsters, the hybrid of the two generally leads to great things. This is an example of how a Pendulum theme can actually raise the potential of an archetype to succeed and achieve its win condition, and there are other Pendulum suites that can perform the same role, albeit for other archetypes, so be on the lookout for them. In the end, the Metalfoes are specifically good at serving as a Pendulum Engine for archetypes with monsters between 2 and 7 that specifically activate when destroyed. So yes, another good example to pair with the Metalfoe would be Yang Zing. The Metalfoe also pair well with other Pendulum themes, due to their high scale range. Similar to the previous deck, this Pendulum Engine gives the Silent Magician archetype a pair of legs to stand upon. The Silent archetype is a set of LIGHT LV monsters that specifically are based around negating Spell cards and effects. In the case of this deck, we’re going to be combining the combo potential of a pure Magician Pendulum deck with the disruption of Silent Magician and the invincibility of Silent Magician LV8. Unlike Fortune Ladies, the Silent archetype is still rather small, so the main benefit of this variant is the ability to combine strengths rather than cover weaknesses. Also, the Silent Swordsmen don’t exactly work well in a deck of Spellcaster-type monsters, so we’re going to stick with our Silent Magicians for this build. One of the big things about Magicians is that they are better supporting other archetype’s summons rather than performing their own. Because outside of Oafdragon, you don’t really have all that much to do with the Pendulum Magicians that you Pendulum summon. That was until the impending release of a the first Synchro Pendulum monster, Nirvana High Paladin. And guess what, Pendulum Magicians are one of the few themes that can consistently summon it without including too many extraneous tech cards. All you need to summon Nirvana is a Synchro monster and a Pendulum Summoned monster of appropriate level, and you get one powerful Synchro monster and a card back from your Graveyard for your troubles. In addition, don’t forget that if Nirvana destroys an opponent’s monster by battle, you get to halve their LP, so Nirvana starts to end the duel rather quickly after hitting the field! Now, where do the Silent cards fit in? Silent Magician just needs you to offer any Spellcaster-type monster as tribute to be summoned from the hand, and then it gains 500 ATK for each card in your hand. Oftentimes with Pendulum Magicians, you will be floating a large hand due to the effect of Oafdragon Magician, so you can easily use that to beef up your main disruption option. If you aren’t floating a large hand, rely upon the other aspect of the Silent portion of the deck, the card Silent Burning. Whether it is getting your Magician up to that key 4000 ATK power or simply giving yourself more options, Burning can even function if you don’t want to give free draws, as it is the best discard outlet you can hope for. If you discard a Burning for Pendulum Call or Twin Twister, you then can banish it to add your Silent Magician to hand. With the benefit of having just added multiple Spellcasters to use as Tribute material, before you even have to Pendulum Summon! Silent Magician – One of the key stars of the deck, great power and disruption, plus can float into Silent Magician LV8. Silent Magician LV8 – Adds more of a punch to Silent Magician, as your opponent is forced to be creative in removing Silent from the field. Tuning Magician – Without other archetypes in play, the Pendulum Magicians really need some help to use the Pendulum monsters you keep summoning. Tuning serves this role, as it lets you use your Pendulum monsters as Synchro Material, in addition to making Nirvana more feasible to summon consistently. Dragonpit Magician & Dragonpulse Magician – The widest range of scales to Pendulum Summon, also have great effects for slowly picking off your opponent’s cards. Insight Magician – Allows you to tutor any of your Pendulum Magicians, limited for a reason. Odd-Eyes Pendulum Dragon – You cannot make a Magician deck without including this guy, the search power for Insight is much-needed. Timebreaker Magician – Important for making Nirvana, since you can use Timebreaker and any Level 7 Synchro, which happens to be easily made with Nobledragon Magician. Also, its monster effect can be good at getting singular threats off the board. Pendulum Call – Search both scales, setup the Graveyard, and probably the best Spell to return with Enlightenment Paladin or Nirvana High Paladin. Silent Burning – Searches Silent Magician and adds Draw power to the deck for the midgame. Sky Iris – Protects your scales, searches Odd-Eyes and primes your Extra Deck for large Pendulum Summons. Many of the following cards are simply additional options to use as discard fodder, but also to give easier access to Nirvana. Other cards are just great for any Pendulum Deck with this scale range. Choco Magician Girl – Gives the deck more draw power and discourages the opponent from attacking. It lets you dig for your combos faster, then slows down the opponent to keep you in the duel. Sound familiar? Acrobat Magician – A level 5 Pendulum Magician that can be used to make Nirvana with a Level 5 Synchro, which is easily accessed via Wisdom or Joker and Tuning Magician. Archfiend Eccentrick – A great option to run for Spell/Trap destruction, because it can be Pendulum Summoned later on to destroy monsters. Odd-Eyes Fusion – This Spell unlocks the power of Rune-Eyes Pendulum Dragon and Odd-Eyes Vortex Dragon, both of which play well with the Pendulum Magicians. Xiangke Magician – Unlocks the full power of Odd-Eyes Rebellion Dragon, but most builds like this tend to focus more on Synchro Summoning. Fusion Conscription – Search spell specifically for Odd-Eyes Pendulum Dragon, as long as you run one of the Fusions. Luster Pendulum, the Dragonslayer – This deck can have easy Synchro access to Ignister Prominence, the Blasting Dracoslayer with Tuning Magician and any level 7 Pendulum, so it makes sense to consider including a Dracoslayer as well. The Pendulum Magicians work well due to the their wide level range, but also due to Pendulum Call searching both Pendulum Scales at once. They are a very generic engine, so they have the potential to work with really anything, but in particular, the archetype works great with other Pendulum archetypes if you need a bit more stable scales. This engine lends itself best to a more Aggressive or Disruption based deck, so another example would be Red-Eyes. In terms of this Red-Eyes variant, you definitely want to focus more on Xyz Summoning, since Odd-Eyes Rebellion Dragon is easy to make with the help of Red-Eyes Flare Metal Dragon. Most of you probably do not know this, but this deck features my absolute favorite archetype in all of Yu-Gi-Oh. Yes, we are talking about the cute and cuddly Alien archetype, what else would I love? The Alien archetype is an age-old strategy, and it is somewhat similar to the Genex archetype in that they tried 3 different ways to make the theme work. There is the Alien cards that focus on Synchro loops, the Alien cards based around taking control of the opponent’s monsters, and then the Alien cards that abuse your opponent’s monsters using A-Counters. Therefore, there are a lot of options for Pendulums monsters to improve the deck, since the archetype quite isn’t strong enough in any of the three strategies to stand on its own legs. In particular, we will be improving the Synchro Aliens using Pendulums, what a surprise! Note, this is a deck whose combos were augmented by multiple of the quirky ‘Obelisk Force’ decklists posted in other articles on this site, so be sure to check them out for some fun deck ideas of your own: CLICK and CLICK. Focusing on the archetype at hand, you are probably wondering how an archetype as old as Aliens can benefit from modern Pendulum monsters. Glad you asked. First, Pendulum Summoning multiple Level 4 monsters unlocks King of the Feral Imps, which then searches your key Tuner, Alien Ammonite. Every Alien deck needs easy access to this Xyz, and Pendulums just make it happen without wasting a Normal Summon. The other key characteristic of Pendulum monsters is that they can be activated face-up as Spell cards… which then can be bounced back to the hand by Cosmic Fortress Gol’Gar… turning into A-counters to fuel the destructive capabilities of the theme’s only Synchro monster. In recent product releases, Aliens have also been graced with unintentional boosts, specifically from Sage with Eyes of Blue and Mausoleum of White, since the first acts as another searcher for Alien Ammonite and the second primes the Graveyard with Alien Shocktrooper to use your Alien Ammonite. Plus, you can always love the opportunity to Normal Summon multiple Ammonite in one turn. In the past, the preferred Pendulum engine was actually the Zefra archetype, because bouncing Oracle of Zefra with Gol’gar to get a search every turn is just that good. But I want you to consider a better engine, one that I believe can step up to take its place, the Vanilla Pendulums. The Vanilla Pendulums are a series of Normal Pendulum monsters that support Normal monsters in general. They were released as TCG-Premiere cards and used as Sneak Preview Participation Cards. Not only do they have great searching capability, with Painful Decision and Summoner’s Art both being able to search out either scale, but they also provide useful effects such as destruction, searching, piercing, or boosts. There’s another layer of synergy though, and that comes full circle back to Mausoleum of White. Each turn, you can dump any Normal monster from your deck with Mausoleum, but if you have Gol’gar bouncing Mausoleum back to hand, you can dump another. When combined with Dark Factory of Mass Production, Mausoleum is just another way to search out any 2 Normal monsters from your deck. All things considered, this variant places a ton of pressure on the opponent to constantly handle any threats you throw their way, otherwise the advantage begins to compound upon itself, giving you the duel on a silver platter. The last important aspect is really the Normal Monster in the Alien archetype, Alien Shocktrooper. We’ve discussed how it can be milled straight from the deck by Mausoleum, but you can also summon it straight from the deck with Rescue Rabbit or even search it out with Painful Decision. Another option falls to Unexpected Dai. Any of these cards are great at plucking Shock straight from the deck, and it gives you more material to work with. The problem with all of these cards is that they no longer function once you run out of Shocktroopers in your deck, hence the Vanilla Pendulums also allow you to use all of these support cards to great effect, since you will have other targets to summon or search once your Shocktroopers have entered the fray! Alien Shocktrooper – Fodder to summon with Ammonite, and Normal monster to work with your Pendulums. Alien Ammonite – The one and only Tuner for the archetype, gives access to Cosmic Fortress Gol’gar, and can use the extra Normal summon of Mausoleum. Rescue Rabbit – One of the best cards to support Normal monsters, summons two Level 4’s which then goes into King of the Feral Imps. Dragoons of Draconia – Searcher of the Vanilla Pendulums, great Level 4. Sky Dragoons of Draconia – Destroys your opponents cards, also is a Level 5 so it gives access to Metaphys Horus with Ammonite. Dragon Horn Hunter – Boost for your Shocktroopers, also a Level 6 lowscale to search with Summoner’s Art. Dark Factory of Mass Production – Returns 2 Normal monsters back to the hand. This can include Pendulums after you Xyz, or simply returning back the monsters you send with Mausoleum. Mausoleum of White – Combos with Ammonite and the Vanilla Pendulums, the card that makes the hybrid work. Painful Decision – Searcher for low-level Normal monsters. Summoner’s Art – Searcher for high-level Normal monsters. Many of the following cards are simply additional options to expand upon your Pendulum engine or to compensate for the large number of Normal monsters. Otherwise, a lot of these are just interesting tech options to enhance the concept further. Sage with Eyes of Blue – An additional searcher for Alien Ammonite. Master Pendulum, the Dracoslayer – An additional Level 4 lowscale, also allows for you to remove a scale on demand following a Pendulum Summon so you can activate a new Vanilla Pendulum for its effect. Sea Dragoons of Draconia – A Level 3 highscale, so it is searchable by Painful Decision. If you do choose to run a copy of Blue-Eyes White Dragon due to Sage’s other effect, it can also summon a BEWD from the hand when any monster is destroyed in battle. Heart of the Underdog – Compensates for the low number of Effect monsters by potentially giving you sheer numbers of cards. It is not the most consistent card in existence, but if it works, it will give you tons of cards to work with. Alien Kid, Brilliant Fusion, & Gem-Knight Lazuli – With a Brilliant engine, Aliens can have another way to setup Ammonite, and also have another way to return Normal monsters from the Graveyard to the hand outside of Dark Factory of Mass Production. The flip side is that you actually lose consistency by adding another combo engine into an already combo-heavy deck. Grave of the Super Ancient Organism – Great floodgate for Aliens since Gol’gar is under the Level 6 threshold. Unexpected Dai – Discussed before, great way to pull Shocktrooper or really any Normal straight out of the deck. Swords of Revealing Light & Swords of Concealing Light – Perfect synergy with Gol’gar, also they both can draw Spell or Trap destruction, serving as a distraction from Mausoleum, while also protecting yourself from attacks. Code A Ancient Ruins – One of the best Alien support cards, this combos extremely well if you also have Mausoleum and two Pendulum Spells because it lets you loop Gol’gar into Gol’gar into Gol’gar into another Level 5 Synchro. Fiendish Chain – Best effect negation for Aliens, since it can be recycled by Gol’gar. Big Bang Shot – Non-destruction monster removal that combos well with Gol’gar. Swing of Memories – Brings back any of your Vanillas, either to make Trishula or to make other Synchros or Xyzs. The Vanilla Pendulum engine works great if you want Pendulum monsters with Pendulum effects, specifically for archetypes that include one or two Normal monsters. It’s always great to have a backup plan and a secondary use for said Normal monsters, even beyond just a body from Unexpected Dai. Also, this engine is great for duelists who prefer high-risk, high-reward due to the nature of Heart of the Underdog. This Pendulum engine definitely falls into the Aggressive discipline, rather than combo or control, but as you can tell, it can work well with combo-intensive decks like Aliens. Other themes that pairs well with the Vanilla Pendulum engine would have to be Gem-Knights, Noble Knights, and even Evilswarm. Welcome to the biggest segment of this article, the piece about the Zefra. Because we could never talk about enhancing archetypes with Pendulums without discussing the Pendulum archetype that is composed of monsters that provide Pendulum monsters for other archetypes. Yeah, it’s confusing. (If you want to refresh your memory of every card in the Zefra archetype, CLICK.) Anyways, let’s break it down. The Pendulum Zefra monsters all support both Zefra and their secondary archetype, each of which focuses on a different form of summoning. The Yang Zing support Synchro Summoning, the Ritual Beast Contact Fusion, the Shaddoll Fusion Summoning, the Tellarknight Xyz Summoning, and the Nekroz Ritual Summoning. While the Zefra monsters certainly can help each individual archetype excel, whether it is getting more monsters to the field to even providing a non-Spell card way to Ritual Summon, the reverse is more interesting. What happens when you use the individual archetypes to support the Zefra? That my friends, is what this variant is all about. You want to build Zefra with 60 cards. You are gimping yourself if you choose to ignore the Shaddoll side of the deck, or if you choose to ignore the Nekroz side, simply due to trying to squish the deck into 60 cards. You also limit your options if you just try to run barebones engines of each. Now, give me a chance to sell you on why 60 cards work. With five different archetypes in play, you can use all of the search power given to each of these archetypes individually, all together in one deck. That means you can use Nekroz of Brionac, Preparation of Rites, Shaddoll Hedgehog, Shaddoll Fusion, Satellarknight Deneb, Reinforcement of the Army, any of the Yang Zing monsters, etc. On top of the search power for any Zefra monster from Oracle of Zefra and Majester Paladin the Ascending Dracoslayer and the search power for any Zefra Spell or Trap from Zefraniu, Secret of the Yang Zing, you have sheer search power that rivals even Spellbooks. Also, don’t forget that there are also draw cards that generically support Pendulums, such as Igknight Reload or Pot of Riches. All of these factors come together, allowing for the Zefra deck to work as one cohesive unit to send a flurry of various Special Summons right down your opponent’s throat. I guarantee, you will be digging through your deck so much that it will not seem like you are running 60 cards. How does this deck work? Well first, the key card of the deck by far is the theme’s Field Spell, and not just for the searching effect I mentioned before. Oracle of Zefra provides a different effect for each time you use a Zefra monster as material, whether it is for a Ritual, Fusion, Synchro or Xyz Summon. What most people don’t realize is that each of these effects are designed to compound upon each other. A Fusion Summon lets you Special Summon an additional monster from the hand, giving you another monster to Synchro Summon, which then places any monster on top of your deck, for you to draw once you perform an Xyz Summon. Which, if you choose Nekroz of Brionac, can then lead to its own plays with Nekroz of Clausolas and Nekroz Cycle. Which could then trigger the first effect of Oracle…. and you get the picture. While you will not pull off all of these summons in one turn every duel, you will have the opportunity to perform any type of summon that you wish, and Oracle rewards any summon that you manage to accomplish. Plus, the effect that you trigger the most, the Synchro Summoning one, is definitely the most important because it functions just like another search card, except for any monster in your deck! Now let’s talk about one final piece of the puzzle, the boss monster for the Zefra that is actually only part of the Nekroz archetype – Nekroz of Sophia. The funny part is, Sophia cannot actually be summoned in a pure Nekroz deck, because it is designed to be summoned using three monsters that were Pendulum Summoned. Pretty much any combination of Zefra monsters easily gets this monster onto the field due to their diverse types and levels – the problem is not Special Summoning the turn you try to do so. Thus, let’s talk about the final card that ties the Nekroz monsters into the Zefra deck: Urgent Ritual Art. If you manage to spring this trap upon an unsuspecting opponent, you can Sophia their field and Graveyard, Nekroz of Trishula their hopes and dreams away, or even get Nekroz of Unicore to the field in response to the activation of their Synchro or Xyz monster’s effect. And of course, Oracle can still activate if you just happen to use a Zefra monster as material! By making the Zefra deck have access to such powerful combinations of power bosses from both the Extra and Main decks, your opponent will be hard pressed to stop all of your plays, even Monarchs who were designed to prevent Fusion, Synchro and Xyz Summons! Lastly, let’s talk about how the Shaddoll, Nekroz, Yang Zing, and Tellar archetypes interact with each other to get you into a winning position. In terms of Shaddoll/Nekroz: the Shaddoll monsters are all triggered when they are used for a Ritual Summon, and they also all activate when tributed for the effect of Nekroz of Valkyrus. Conversely, the Shaddoll Fusion monsters make great fodder for Nekroz Kaledioscope, because you can then add back a Shadoll Fusion or Shaddoll Core with that fusion’s effect, even though it was sent from the Extra Deck. Mixing in the Yang Zing, their diverse range of attributes provide the Fusion materials for any Shaddoll fusion you wish to conduct. Additionally, Baxia, Brightness of the Yang Zing can destroy Shaddoll monsters, triggering their effects, to modify the level options available on the field, so that you can then use those monsters for a Nekroz Ritual Summon. Throwing them all together now, Satellarknight Deneb can be used as Xyz Material for Bujintei Tsukuyomi, which can discard any Shaddoll monsters and activate their effects or prime the Graveyard for the effect of Nekroz of Valkyrus. Or, if you want to just be pragmatic, give you extra cards to keep summoning with. While the loss of El Shaddoll Construct has greatly hurt the interactions of Satellarknight Altair and Shaddoll Fusion, the fact remains that the two cards can still provide large swings in advantage when used at the correct time. Sadly, I cannot say that the Ritual Beasts work quite as well, which is why they tend to take a backseat in Zefra builds. So, have I convinced you yet that these archetypes can work together rather effectively? Satellarknight Deneb – Searcher for either Tellar Pendulum Scale, LIGHT for Bujintei Tsukynomi, also it happens to be searched itself by Reinforcement of the Army. Shaddoll Dragon – Destroys a backrow when sent by Oracle, Shaddoll Fusion, a Nekroz Ritual, or Nekroz of Valkyrus, and also can remove big monsters from the field that are resistant to destruction. Shaddoll Hedgehog – Searcher for either Shaddoll Pendulum Scale, searcher for Shaddoll Fusion, also it is a Level 3 so perfect pairing with Nekroz of Clausolas for a Ritual summon via Nekroz Cycle. Nekroz of Brionac – Searcher for either Nekroz Pendulum Scale, searcher for any Nekroz monster which can then search any Nekroz Spell, also can be Ritual Summoned from Graveyard using a Cycle on Zefraniu, Secret of the Yang Zing. Nekroz of Sophia – While its discard effect may seem subpar, it can help immensely versus some opponents. Additionally, the synergy with Urgent Ritual Art and the Zefra monsters in general is irrefutable. Nekroz of Trishula – See above, except this one doesn’t require three monsters from the field. Nekroz of Unicore – Recovers any Nekroz card from the Graveyard, including Valky, Brionac, or either scale. Plus negation of Extra Deck monsters doesn’t hurt until you can get your own in play. Zefra monsters – The heart and soul of your deck. I do not need to list them all here, you should have them all in your head already. Igknight Reload – Draw Spell for Pendulums, the restriction only stops other copies of itself, Pot of Riches and Tsukynomi. Nekroz Cycle & Nekroz Mirror – The main Ritual Spells for Nekroz that you will need. Kaledio also is an option, just it isn’t a key card here due to Herald of the Arc Light taking up precious Extra Deck space. Oracle of Zefra – I’ve already talked about how important this Spell is, it is vital, end of story. Terraforming – This card can be considered as additional copies of Oracle, so they are key as well. Shaddoll Fusion – The best Fusion spell for a non-pure Shaddoll variant. You should only consider El Shaddoll Fusion if you choose to run a more Shadoll/Nekroz-heavy build by dropping some of the supporting Yang Zings and Tellars. Urgent Ritual Art – Discussed earlier, plus allows you to get extra uses out of your limited number of Ritual Spells. Zefra Divine Strike – The only other Zefra support card that is worth running in the Main deck; it can ensure your plays while also being able to stop your opponent’s when needed. Also is searchable by Secret. Following that giant list of Key Cards, you have to imagine that I don’t have too many options here. But in fact, it is just the opposite. There is so much potential for a deck with this level of search power. So let’s begin. Yang Zing non-Tuners – Every Yang Zing you include gives you more access to Secret. Which can then be triggered by either of the Tellarknight Zefras. Chiwen, Light of the Yang Zing & Jiaotu, Darkness of the Yang Zing – With additional tuners, you can gain easier access to your key Synchro monsters, such as Chaofeng, Yazi, and Metaphys Horus. Yang Zing Path – An additional draw card to consider; however, it may take time to prime the Graveyard since you do not use your Yang Zing Zefras frequently as Xyz Material. Shaddoll Falco – One of the better Shaddoll monsters to send with Fusion, since it can recycle back used Fusion monsters. Additionally serves as a Tuner in the role described above. Nekroz of Valkyrus – Technically it is a tech option because it is not integral to the deck’s success, but I highly recommend it for its BP-ending effect. Also, who doesn’t want to get free draws using Pendulums. Chosen of Zefra – While you will almost never pull off its 10 effect, you could technically use its ATK boost to great effect, since many of your monsters have low ATK and it boosts everyone you control. Also is searchable by Secret. Spiritual Beast Cannahawk – The searcher of the Ritual Beasts; however, it does have a delay so it may not be worth it to wait. However, if you do run him, it would be best to fit in Ritual Beast Steeds as well for the searchable, non-targeting monster destruction. Nekroz of Gungnir – While there are no Zefra monsters that are Level 7, you can rely upon a combination of a Level 3 and a Level 4 Pendulum monster to summon our dear friend. He also protects other Nekroz monsters well. Great Sorcerer of the Nekroz – Both of Sorcerer’s effects can be put to good use, as you can search out Unicore, Valkyrus, or Sophia with its first effect, or load the Graveyard with Zefraxa, Flame Beast of the Nekroz with its second effect. 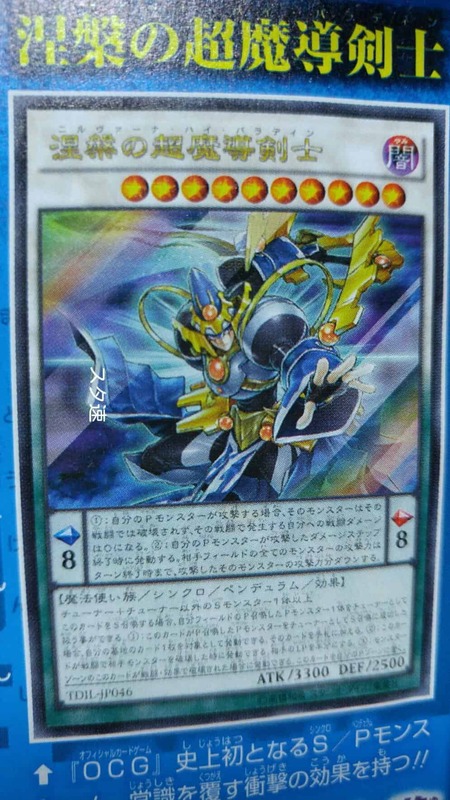 Satellarknight Altair – Another good option to search with Deneb, allows you to make more cost-effective Xyz Summons as well as recover Xyz Material Tellar Pendulum monsters back from the Graveyard. Stellarnova Alpha – A second Counter trap that can negate anything? Count me in, especially if you run Altair. Nirvana High Paladin – In a deck with many different levels of Pendulums and access to Synchro Summons, this card can always contribute to your deck. Echo Oscillation – Once considered one of the best tech options for the deck, Echo can definitely be considered a slow draw card. But it also combos well, since it can chain to effects that would destroy the scale anyways, such as the Tellar Zefras. Pot of Riches – Extreme lategame card, but it is generic Pendulum support that can work. Pendulum Back – The biggest pro to this card is that you can add back your Nekroz Ritual monsters to use their effects again, add back your Satellarknight Deneb, or even some Shaddoll monsters to play with. NOTE: This build does include a Side Deck, something that I pretty much never do for my articles. Why? Because the side deck is really just an extension of the Main Deck in this case. There is no one side-card that completely stops all 5 of the archetypes contained within the Zefralliance. It comes down to personal preference, but I thought you could use an example to get the gears turning. In matches, it is quite simple to get rid of the entire Shaddoll engine if you have no expectations for your opponent to leave around an Extra Deck monster for you to use Shaddoll Fusion. Or if you feel the need to get rid of Ritual monsters, you can do so. On the flip side, it’s a great way to enhance the archetype of your deck that specifically handles your opponent’s deck the best. But feel free to add in any cards you want to your own side deck, as with all of these lists, this is just my personal build. The Zefra offer something that very few other Pendulum archetypes can – they are great at being material. Material for each and every type of summon. Whether it is matching Levels 2 through 6 for Xyz Summons, serving as Synchro Material for all levels, or even serving as Ritual tributes, these Pendulums fulfill their role well with the additional effects gifted by Oracle. Additionally, the Zefra arguably have the largest number of search cards that can get to a Pendulum Scale. The sad part is that you cannot be Pendulum Summoning non-Zefra monsters with this engine, so you just have to keep that in mind. Another pairing that works well, as mentioned before, is Alien Zefra, but the Resonators can also function decently as well. By now, you have met many different Pendulum engines, and have gotten a glimpse into the power of specific hybrid decks. While most of these are not equal in power to the top Pendulum deck Dracopals, they definitely still offer a lot for those looking for a deck to give their opponent a challenge. And who knows, maybe you can design the next meta deck using ideas that popped up while reading. As always, I hope that this article helped you to uncover a few more secrets about underused themes and archetypes in Yu-Gi-Oh, and that you have managed to discover a bit of your creative side. PS: I already had this written before the Alien and any other potential legacy support was revealed for the upcoming booster set INOV. So who knows, you may even be able to improve the above decklists right away, or even take them in a completely different direction. Best of luck!